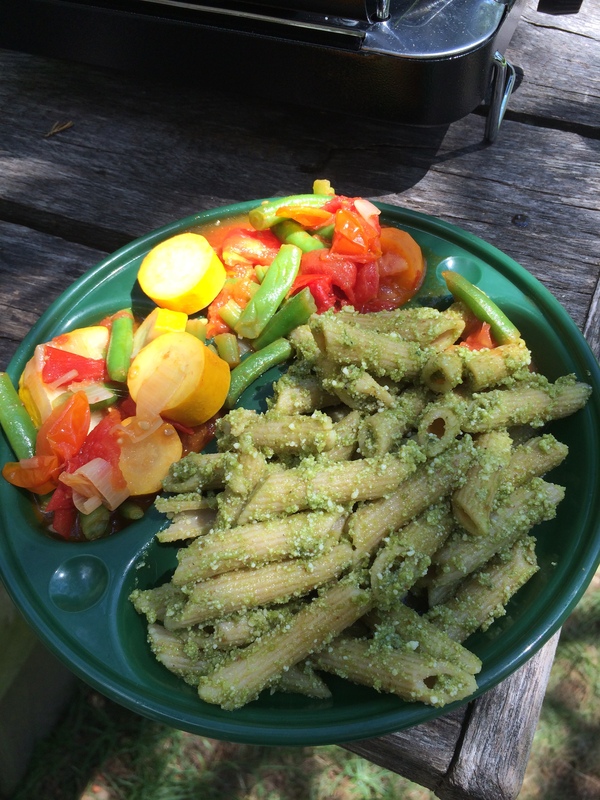 For our camping trip, we prepared in advance some whole wheat pesto pasta using ramp pesto that we had made last year and stored in the freezer. 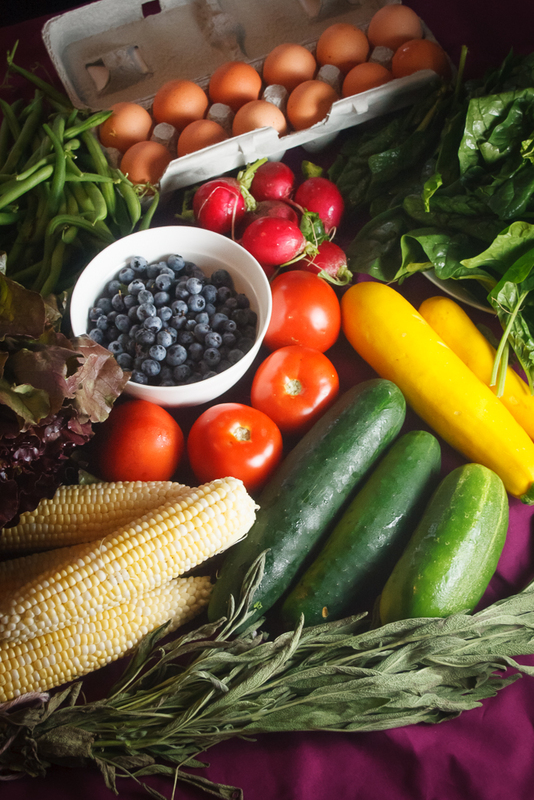 We served it with simply sauteed tomatoes, squash, carrots and green beans- a sort of rustic take on ratatouille. 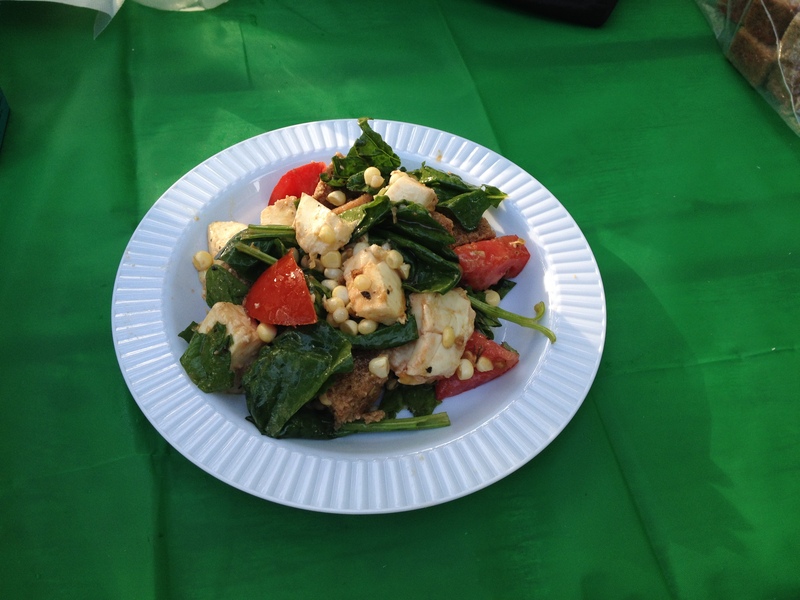 We also made a delicious panzanella, our favorite summer salad. Simply cube up some day old bread and toss it with corn, wilted spinach, tomatoes and fresh mozzarella. 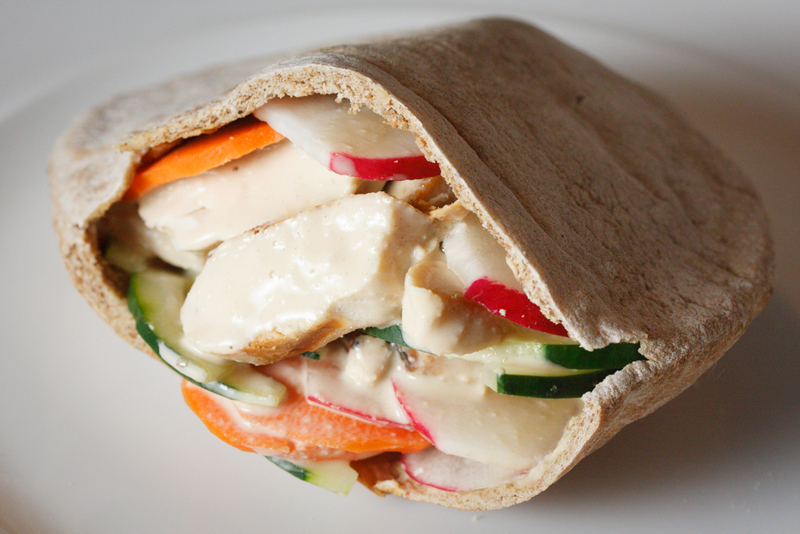 Top with a balsamic vinaigrette. It’s even better the next day! 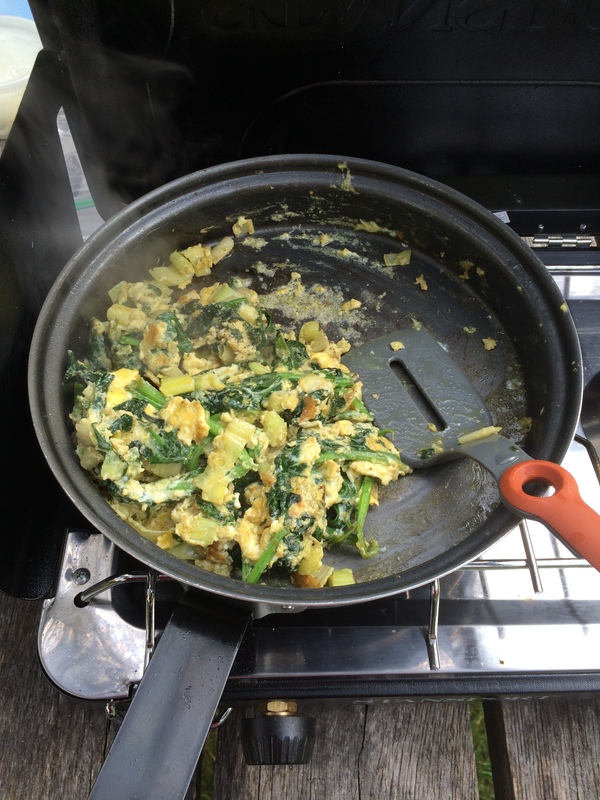 For breakfast, we used our CSA eggs, spinach and leeks that we had leftover from the week before to make a tasty scramble. 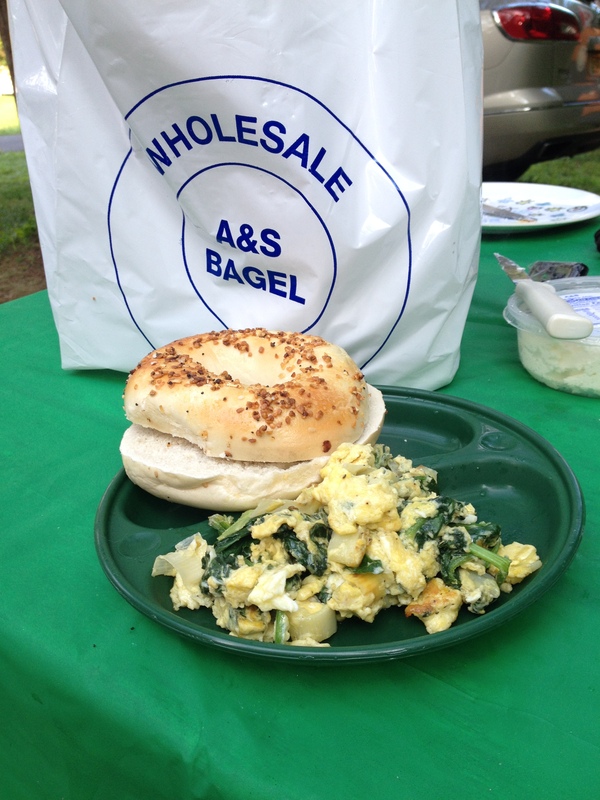 Served with the best bagels on the planet – A&S bagels from Katie’s hometown. 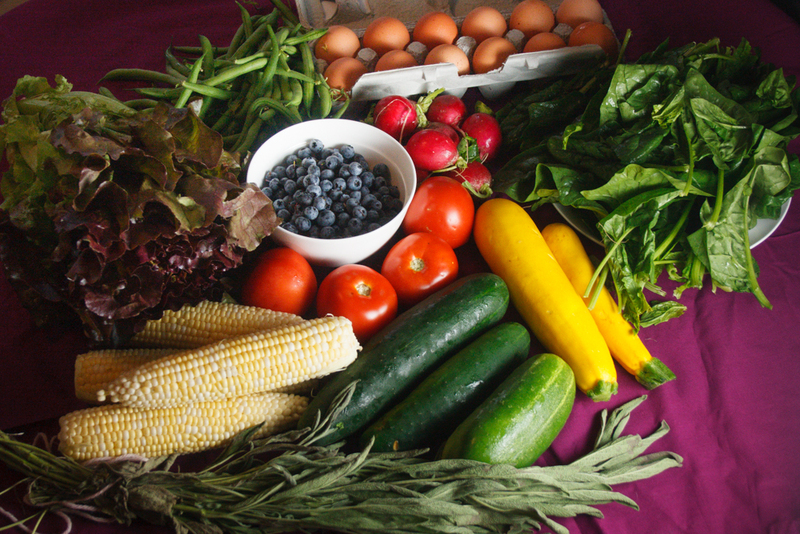 So that leaves the red leaf lettuce which will get eaten by out pet tortoise, blueberries which our 10 month old son devours for breakfast, and the sage which we hung to dry & store for future use.